Never compromise on the data you use to power your business decisions. 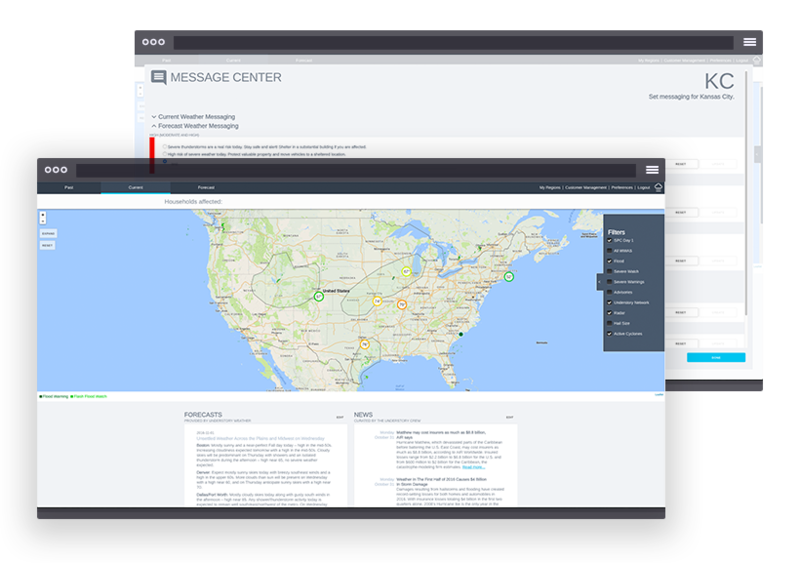 Get the tools you need to plan storm recovery efforts, triage claims and communicate with customers in their time of need with Understory’s Platform. 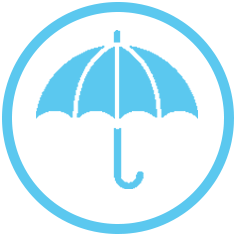 Use our data in your analytics projects and to inform underwriting. It doesn't get more accurate than our ground-truth data. 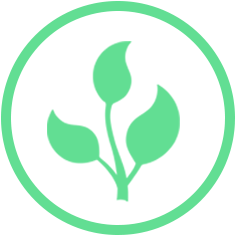 Detect weather conditions in your crops with Understory’s weather monitoring networks so you can plan, adapt and improve crop yields. Harness the power of ground-truth data for your insurance company. Discover how ground-truth weather data will revolutionize your business with improved storm recovery times, streamlined claims processes, and much more. Armed with the most accurate data for weather perils, including wind and hail damage that cost your company millions of dollars in losses, you’ll be better equipped to respond to storms, streamline your claims process, and get the most out of internal analytics projects. Join the revolution. Find out how ground-truth weather data can help you. Hail losses are on the rise and your business needs to create a strategy to get a handle on these weather events. At Understory, we’re building, installing and harvesting data on hail, wind, rain, temperature, pressure and humidity from dense networks of weather stations. These hyper-local wind and hail monitoring networks record individual hailstone impacts, wind gusts, and even rain drops in real-time at unparalleled detail. The environmental data is then pulled into actionable material you can before, during, and after severe weather events. Understory’s weather station networks deliver the true story under the clouds. Using hyper-local data powered by our hail monitoring networks, your business will benefit from the power of advanced damage analytics. With Understory-enabled metros that provide unrivaled data accuracy, this will be your most powerful strategy yet. A revolutionary weather station designed to help you maximize your crop yields. Discover how ground-truth weather data will change how you know what weather is happening in your crops. Weather is hyper-local and can vary from one crop to the next. You need a solution that accurately tells you what is going on in each field. You’ll know if it rained and if it did how much so you can adjust fertilizing and watering schedules to maximize crop output. Easily log into Understory’s web portal to view the conditions and history of each weather station, which measures hail, wind, rain, temperature, pressure, humidity, ambient light, and more! And because it’s maintenance-free, you can rest assured it’s always on and acting as your own personal scientist in the field. Learn how Understory’s weather stations can help you. In order to maximize your crop’s production, you need to know exactly what happens in each field. Other solutions are difficult to install, need regular maintenance, and have data that is difficult to access. That’s where Understory’s revolutionary weather networks are different than anything else on the market. Our weather stations are easy to set up and our simple web interface makes it easy for you to view what the weather conditions are in any given field. Understory can tell you the exact weather conditions in each of your fields so you can be more flexible to what your crops need, when they need it. Understory’s approach to weather data is unique. Our patent-pending weather stations generate the most granular weather data available. The ground-truth data that our weather stations gather is analyzed & processed to create real-time datasets & actionable information to grow your business. See how our technology is changing what we know about weather. Our weather stations monitor hail, wind, rain, temperature, pressure, and humidity at ground-level every second of every day. The Understory weather platform can also give you information on wind chill, heat index, evaporation rate, and much more. These patent-pending weather stations give you a complete understanding of weather wherever you need it. Because temperature can vary widely based on local features such as building density, land cover, elevation, and terrain, the most accurate weather date you can get is at ground-level. And, the only place you will get weather data this granular is Understory. Learn more about Understory’s weather stations.